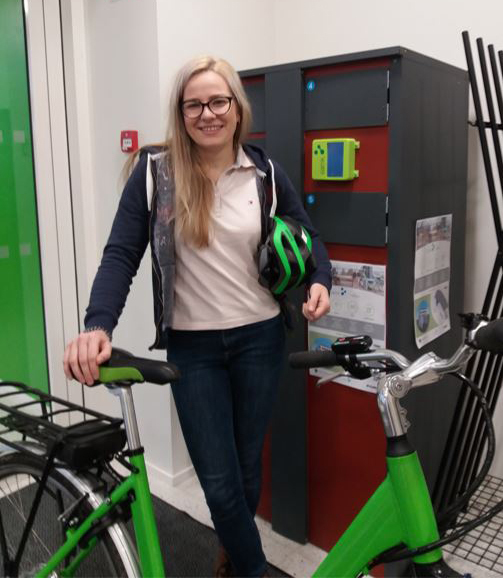 The idea of electric bike share started at SAMK Smart Sustainable Cities course where Madara Kupce and her fellow student Ville had this idea of bike sharing. There has been lot of media attention to electric cars, but they believed that electric bikes should not be forgotten. 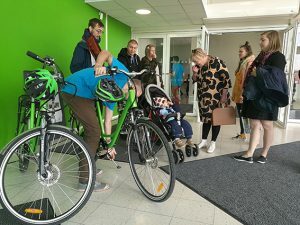 Project researcher Madara Kupce encourages members of SAMK staff and students to try out the e-Bikes. Naturally as active cyclists and ''environmentalists'' they thought this would be something with environmental value and good service for the community. Luckily SAMK has great teachers that don't let good ideas go to waste. 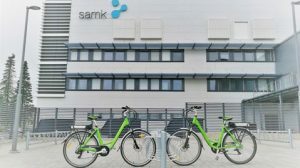 The SAMK e-bike project is funded by Satakuntaliitto, SAMK and City of Pori with a goal to develop electric bicycle share system prototype. It has been a challenging project and has given a great learning value for the students. This project required hard work and team work between Electric engineering, Construction Engineering, IT, Energy and Environment students, and now Mechanical engineers have just joined SAMKebike. But the results are there – a ready electric bike share system for SAMK, which is built by our own students and teachers help. 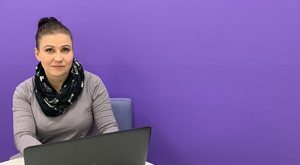 Madara hopes that the project will be developed further as it has great learning value for SAMK students and at the same free bike share as a service at SAMK is something that everyone can benefit from. Every winter Finnish Cycling Association (Pyöräliitto) organizes Winter Cycling campaign, to promote winter cycling and cycling safety by distributing free led lights for the cyclists. We were happy to be partners for the campaign for such a good cause. 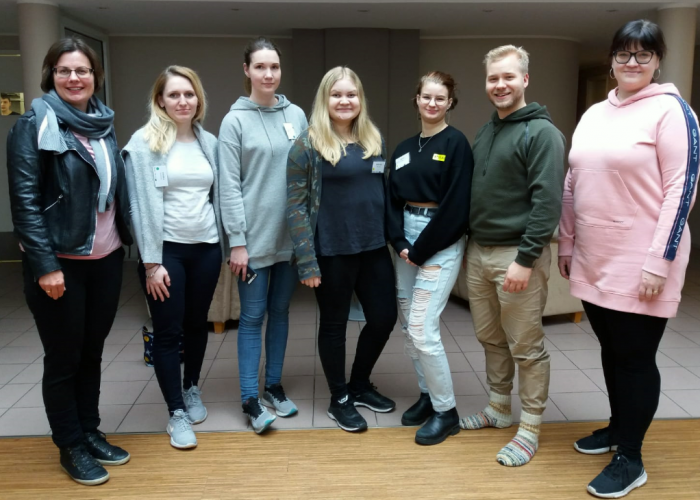 During Ilmastotalkoot on 21st of November with help of SAMK Energy and Environment students we distributed around 90 led bicycle lights to the cyclists near SAMK and Matkakeskus and encouraged them to keep cycling through the winter. 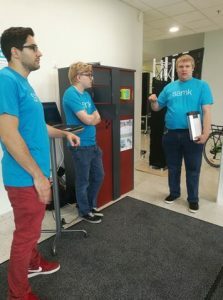 On the same day the team had SAMK e-bike stand by Agora exit doors. It was great pleasure to see how many people were interested in the e-bike share and we got 40 users registered on our website. Madara is 23 years old and now working as a project researcher for SAMK e-bike share. 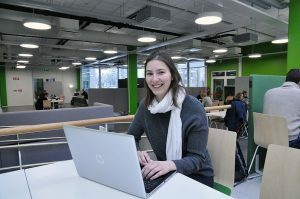 – I came to Finland as international student to study Environmental Engineering and I graduated in summer 2017. Pori has been my home during this time. I have really enjoyed my time here as a student at SAMK it also has been great experience for me to work here now for the project. The contract for climate partnership was signed by SAMK and the city of Pori in the inauguration party of the campus in Pori on 8 September. Climate partnership is a contract between a municipality and an organization which aims at reducing greenhouse gas emissions and controlling climate change.